So, just how much do you know about the illegal dirt bike scene in Baltimore? Yeah me either. But if Lofty Nathan meets his Kickstarter goal of $12,000 (currently at $9,116 – 98 backers) in the next 10 days, we could be finding out a whole lot more about the social tensions that bring them out to the streets. 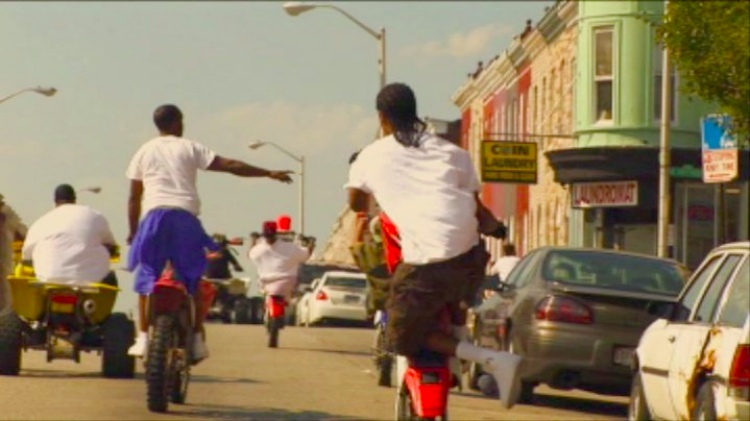 This film explores the illegal practice of dirt bike riding through Baltimore City. Three riders from different neighborhoods are followed through the streets of Baltimore on their dirt bikes. Over the course of the film, their motivations for being part of the group are revealed. As the police are not legally allowed to pursue the bikes despite their being illegal to ride in the city, the complexity of tension between riders and police gets deeper. The riders, converging from all parts of the inner city, regard their practice both as a recreation and a protest. The dirt bike culture of Baltimore is a primal and energetic response to the tension between social classes. When the riders embark on the city, they suddenly have a platform. It plays on the delicacy of their lives as they know it from their marginalized communities. Follow the widget to view footage from the film.